Today I want to share a funny Christmas layout by design team member Patty. 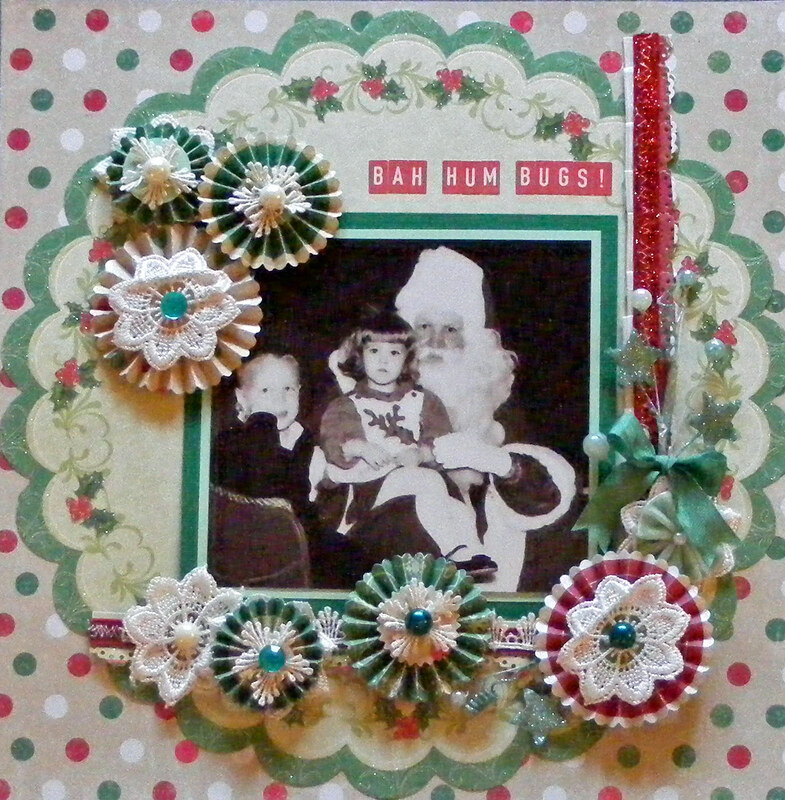 Papers used were the Merry Christmas collection by BEST CREATIONS. 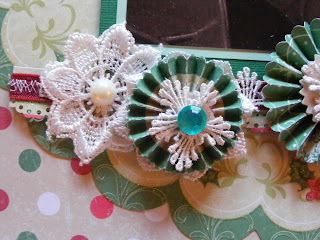 I relied heavily on the Tim Holtz/Sizzix die cuts, Paper Rosette and Mini Paper Rosettes. Ribbons are by MAY ARTS and flowers are Crystal Palace Star Burst by PRIMA. 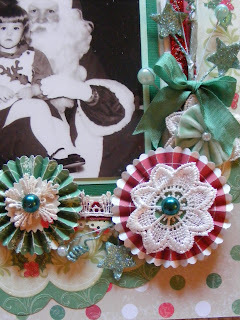 Ribbons are by MAY ARTS, and the diecut used is MARTHA STEWART Punch Around The Page, Ribbon Loop. Check out the pretty little MAYA ROAD Trinket Velvet Pleat (flower) in a lovely mint color to match the PRIMA Crystal Palace Star Burst! Techniques used were sewing by hand and machine stitching. If you are in the North Texas area, be sure to stop by The Crafty Scrapper at 308 College Street in Waxahachie.....right in the historic Downtown Square.....you won't be disappointed! Thanks for taking a peek, everyone! Today we're sharing a sweet layout from one of our FB fans Anita Scroggins. This layout is titled Bathing Beauty and uses Glitz Papers which you can find at The Crafty Scrapper!